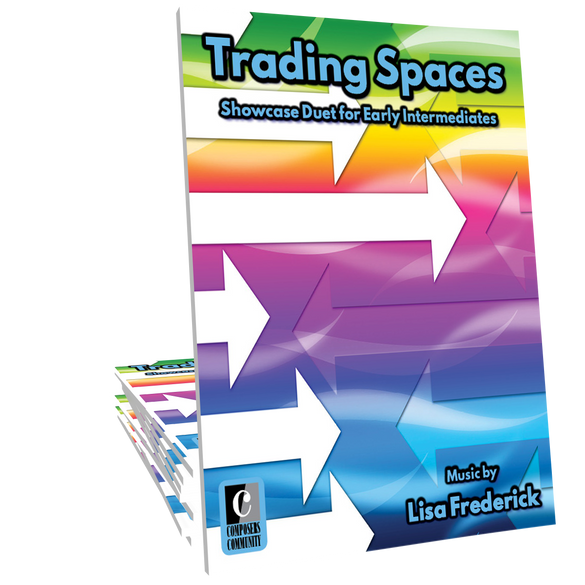 Trading Spaces is an evenly-leveled showcase duet by Canadian composer, Lisa Frederick.Students and audiences alike will love the choreography that occurs as the performers trade spaces! It’s full-time fun for all ages! 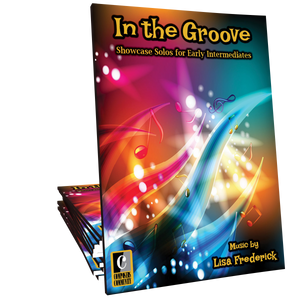 One of my intermediate students played this with me for our spring recital. It was SO MUCH FUN. We loved how we had to figure out where our arms went, and my 12-year-old girl loved the snapping and how "cool" it sounded. And I loved that she wanted to play it with me it was that much fun! 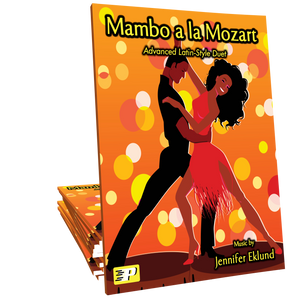 Thank you, Lisa, for such a fun and entertaining piece!